Please call us at 800-927-9295 with the numbers found on your solenoid and use the reference number shown below for the style mounting you require. You can also request information by email by clicking on the links to the right of each item. If the solenoid is not installed correctly and a failure is encountered the manufacturer’s warranty will not cover a replacement unit. It is very important to ensure that the plunger is fully bottomed when final linkage is connected. 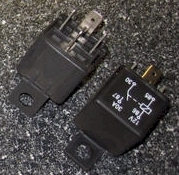 If the solenoid is restricted from bottoming out in the retract/energized mode then it will burn out in approximately 30 seconds. Insufficient current will also result in failure. On units with an auxiliary third terminal, connect a voltmeter or appropriate light (voltage rating) between auxiliary and "+" terminals. When the solenoid is energized and the plunger bottoms, the voltmeter will indicate the battery voltage or the light is energized. 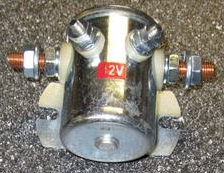 Push the plunger to the full bottomed position and measure the plunger extension length from the solenoid body before the linkage is connected. 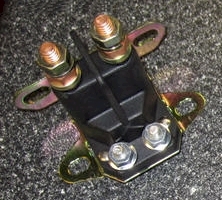 Connect linkage and energize the solenoid. If the plunger has fully bottomed, the plunger extension lengths should be the same.